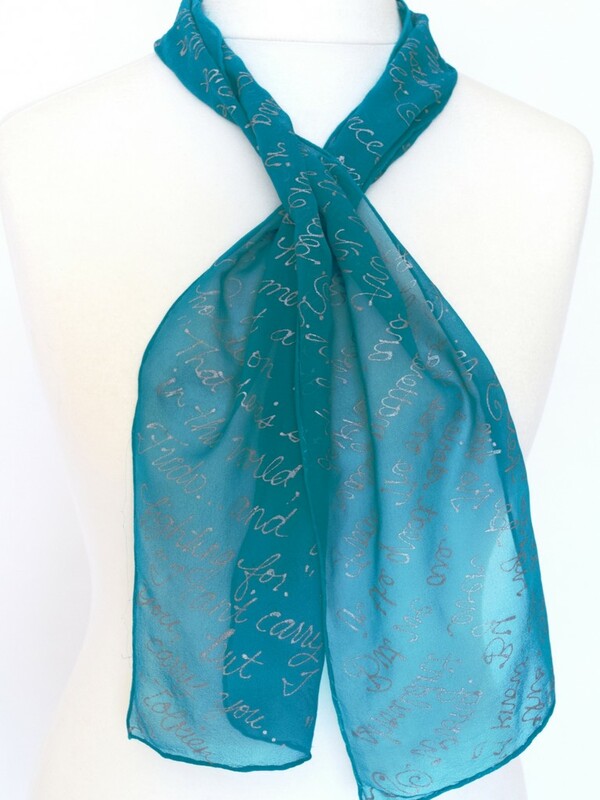 View cart “Pride and Prejudice Book Scarf” has been added to your cart. 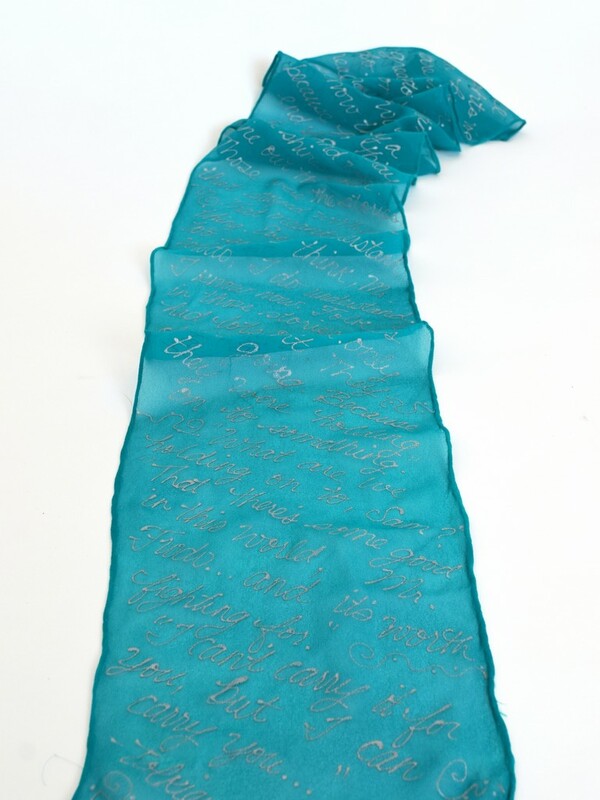 This LOTR Book Quote Scarf is perfect for those LOTR or Tolkien fans. 8×54 inches, small scarf. Perfect for wearing in hair or tied in a bow at your throat. 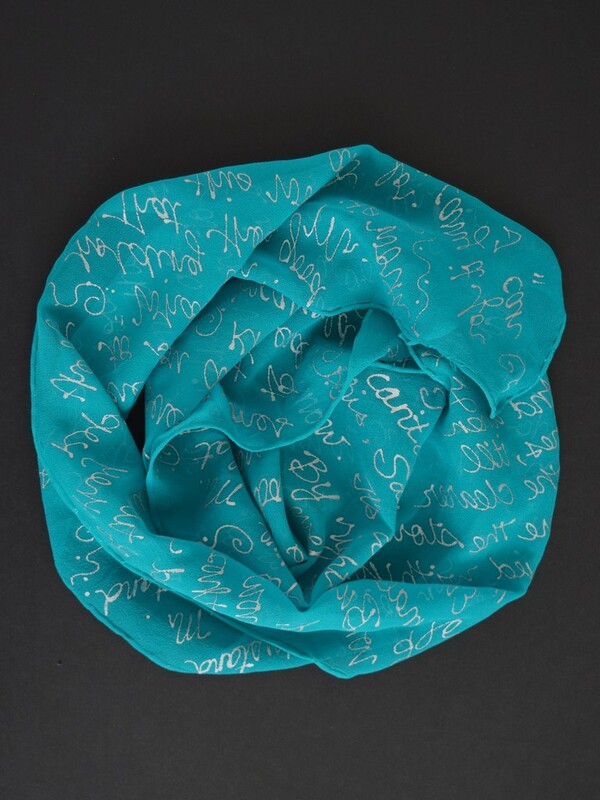 100% silk, hand painted with French dyes in teal or turquoise. Made in and shipped from Latvia, Europe. Tie it, wrap it, braid it, knot it, love it. Look European with a scarf in your wardrobe! If you purchase more than the one – LOTR Book Quote Scarf – in stock item shown here your other scarves will be especially handpainted for you. Your apx. shipping time will be detailed to you after purchase or an inquiry can be sent before purchasing for time estimates. Tie it, wrap it, braid it, knot it, love it.Look European with a scarf in your wardrobe! Silk is a fabric that breathes and caresses one’s skin with its elegant touch. It is an accessory that will make you smile! This is a scarf that both little and big women will like. It adds color and fun to your wardrobe. Beautiful work as always. My mom loves her new scarf!